The largest and busiest airport in Venezuela, the Caracas airport, Simón Bolívar International Airport. 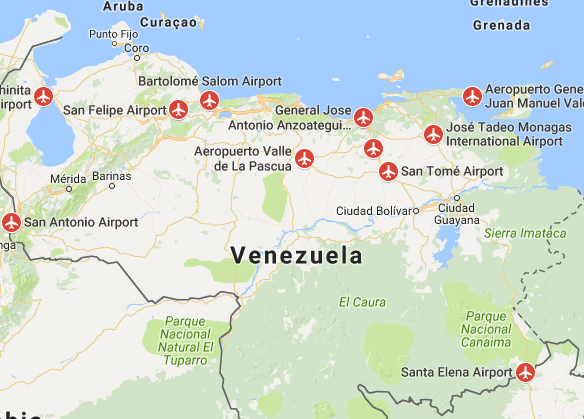 This is one of the many international airports in Venezuela and is a short distance from the capital Caracas. A sight that you really should not miss is the Salto Angel, also called Angel Falls in Venezuela. This waterfall, located in the Canaima National Park in southwestern Venezuela, is 979 meters down. This is the highest waterfall in the world.